This article draws on Marxist and realist theories of international political economy to argue that a synthesis between the two is possible. In particular, it argues that despite the fact that Marxists place class as the centre of their analysis, Marxist theories on imperialism and world systems nevertheless create territorial partitions of the world which establish hierarchies of national economies. Whilst some may argue that non-state actors and global markets have decreased the significance of states in international affairs, this article argues that earlier Marxists works on world systems and imperialism are relevant today, and that the international economy continues to be hierarchical. Furthermore, it argues that large multinational corporations dominate global markets and have common interests with their host states. Thus, the economic integration of the world, spearheaded by powerful companies, helps maintain rather than undermine the international hierarchy of states. 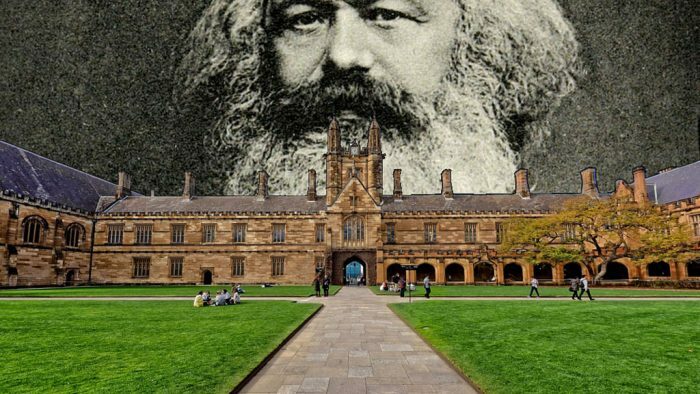 Whilst the economic focus of Marxists and the political focus of realists may suggest their analyses are fundamentally different, the article questions the significance of this. Realist notions of hegemony and relative gain and Marxist notions of world system both create international hierarchy of states, with wealth focused in an elite core. The article begins by discussing Marxist theories of the international political economy, and the role of territorial partition and state-based hierarchies in this. It then discusses realist hegemonic theories, and how these create similar hierarchies. The article then addresses the role played by ‘global markets’ and more specifically MNCs, arguing that these bolster the hierarchy of states. [t]he need of a constantly expanding market for its products chases the bourgeoisie over the whole surface of the globe. It must nestle everywhere, settle everywhere, establish connections everywhere (Marx and Engels 2010, 21). Of course, many Marxists have applied Marx’s ideas to the international political economy. Early scholars in this endeavour focussed on imperialism. Lenin made the argument that the imperialism the late 19th and early 20th century was driven by the emergence of monopolies and the growing prominence of finance capitalism – and as such the need to export capital itself. As he argued: “It is beyond doubt…that capitalism’s transition to the stage of monopoly capitalism, to finance capitalism, is bound up with the intensification of the struggle for the partition of the world” (Lenin 1996, 70). However, Marxist international political economy in the post war era was dominated by dependency and later World Systems theories. These again analysed the territorial partition of the world. However, instead of empires and their colonies, the division was now between advanced capitalist countries in the ‘core’ and developing or pre-industrial societies in the ‘periphery’. The economies of the core specialise in heavy manufacturing, whilst those in the periphery supply the core with raw materials and commodities – which provide low returns and few prospects for industrialisation, maintaining periphery economies in a state of underdevelopment. The semi-periphery plays an intermediate role between the two. Both imperialism and World System Theory involve a state-capital nexus or some kind that places states in the centre of the analyses. They describe a territorial partition of the world based on a hierarchy of national economies. Imperialism was a political project carried out to serve needs of capital for evermore expansion, creating rival imperial powers and hyper-exploited colonies. It its aftermath, colonies, now independent nation states, were locked in position of dependence on the former colonial powers for export markets for their commodities. Whilst scholars have discussed the role of the ‘core in the periphery’ (elites in periphery states) and the ‘periphery in the core’ (the impoverished in core states), the world system is nevertheless a hierarchy of states and national economies. What are the roles of states versus capital in the forging of these hierarchies? What takes precedents: the economic needs of capital for new markets or the political needs of the state for power? Or, more importantly, can we make such a distinction at all? Incorporating hegemonic stability theory provides insight here, a path towards a Marxist-realist synthesis. Hegemonic stability theory argues that stability in the international (capitalist) economy can only occur when a dominant state, a hegemon, provides the necessary public goods, such as a common currency for settling international accounts. This stabilising role was performed Britain up to the First World War and by the United States after the Second World War. The inter-war period had no prevailing hegemon – or at least one willing to provide the public goods necessary to maintain stability. This contributed to the Great Depression, as well as the outbreak of the Second World War itself. Hegemonic stability theory lost purchase as the United States’ hegemonic position declined in the 1970s and 80s and the international economic order did not collapse as a result. By the 1990s a multipolarity began to emerge in the international political economy, with United States dominance being balanced by a strong and united Europe, a recovered Japan and rising China. Nevertheless, the theory has relevance to today’s international economy, particularly the ‘hegemony theory espoused by Robert Gilpin. Whilst the hegemonic stability theory of Charles Kindleberger (1973) rested on a more benevolent hegemon providing public goods for the public good, the hegemon for Gilpin was more parochial. As he argues, “a market economy tends, up to a point, to concentrate wealth in the more advanced economies… In effect, they provided the public goods necessary for the functioning of efficient world markets because it was profitable for them to do so. (Gilpin 1981,138-139, emphasis added). Furthermore, while all states benefit from stability, the structure of the international order is still contested as even the “dominant powers have had very different sets of ideologies and interests that they have sought to achieve and incorporate into the rules and regimes of the system” (Gilpin 1981, 37). Therefore, there are a variety of ways an international order can be organised, which will determine who benefits and how. In crafting the international economic order, states are motivated by economic nationalist concerns. Whilst economic nationalism can often be equated with mercantilism, Helleiner (2002, 325) argues that “economic nationalism should be defined by its nationalist content rather than by its endorsement of specific economic policies … economic nationalists can have a variety of policy goals which may even include support for liberal economic policies”. That is, economic theories can differ in how they believe states can best achieve nationalist goals, not whether they should serve nationalist goals. For example, Chang (2008) has argued that developed nations industrialised through protectionism, industrial policy, and colonisation. However, whilst Chang has emphasised the role of statist policies it would be incorrect to characterise his analysis as statist. Indeed, Chang notes that once market dominance has been attained, powerful states implement liberal policies and demand others to do the same (Chang 2008, 16–19). This denies potential rivals the ability to emulate the illiberal policies that the dominant states pursued to develop their economies (Chang 2003). Thus, according to Helleiner’s (2002) definition of economic nationalism, the process Chang describes is not a shift from statism to liberalism, but a shift from statist policies to liberal policies for economic nationalist purposes. As states compete for the international economy to further their economic nationalist goals, the international economic order will end up reflecting a) power asymmetries between states and b) the preferences of the most powerful states (Gilpin 1981, 10-13). That is, a hierarchy of states with some better able to set the rules in their favour than others; concentrating wealth in some states whilst marginalising others, as seen under the territorial partition of the world in the Marxist theories discussed above. Gilpin’s response to comparisons between his work and Marxism was to argue that whilst Marxists put economic before politics, he put politics before economics (in Cohen 2008). However, my argument is that this is a distinction without much significance. Both states and powerful capital have interests that are intertwined, and engage in efforts to arrange the international economic order, or the world system, to their mutual benefit. This is simultaneously politically and economically driven. Hannah Arendt’s concept of ‘political emancipation of the bourgeoisie’ helps explain the relations between capital and the state to illustrate how the two are interconnected. Whilst not a Marxist, Arendt argument in Origins of Totalitarianism, published after the Second World War in 1968, shares much in common with Lenin’s arguments on imperialism. Arendt argues that the bourgeoisie were traditionally characterised by their economic power and political indifference, content to leave issues of politics and of governing to the state. The bourgeoisie by and large had but one primary concern: that their capital accumulation continued uninhibited. However, as capital commodified almost all aspects of society avenues for additional accumulation dwindled. Facing the limits of their national markets the bourgeoisie experienced a crisis of over savings, or ‘superfluous money’. New markets needed to be established to export this superfluous money to. Arendt argues that after their political emancipation, the bourgeoisie adopted and pursued a political project of ‘expansion for expansion sake’, just as they had always adopted the mantra of ‘profit for profit sakes’ in their private undertakings. This manifested in imperialism. The bourgeoisie of today remain emancipated, and are deeply involved in political affairs. They continue to demand more markets for exploitation, and depend on the state to secure these for them. Meanwhile, whilst it could be argued that the international economic order is determined by states and their economic nationalist interests, in what meaningful way is this distinct from World Systems theory? There remains a hierarchy of states, with the core dominating the most profitable and innovative industries. The states of the core may not advocate the interests of a transnational capitalist class, but they do advocate for the interests of their capitalist class. By the late 1970s it was apparent that a shift was occurring in the international division of labour. Manufacturing was no longer the work of the core economies – it instead moved to the periphery and semi-periphery states. What is it them that the core economies do today? Manufacturing used to be at the forefront of technology and production and was a common trait of industrialised and wealthy society. However, today it’s finance and the ‘knowledge economy’ industries that are amongst the most profitable, and represent the base of the core’s economic power. In 2017, United States companies accounted for 26 of the 50 most profitable companies in the world, collectively amassing $382.32 billion in profits (Fortune Magazine 2018). Seventeen of these are in finance, technology, media or pharmaceuticals. Buyers of the iPhone will know the structure of the World System today. On each product are the words “Designed in California. Made in China”. Whilst manufacturers in China operate of narrow margins in a competitive market, Apple became the first trillion dollar company in history. The hierarchy of states prevails, however their place in the international division of labour has changed. The structure of the international economic order supports this hierarchy. As I have written elsewhere, the United States’ economic power during the 1980s came to depend on protecting its intellectual property owners and investors overseas, and allowing market access for its service industries. The foundational agreements of the World Trade Organisation reflect these needs on services (General Agreement on Trade in Services), investment (Agreement on Trade-Related Investment Measures) and intellectual property (Trade-Related Aspects of Intellectual Property Rights). We thus have an international economic order governed by rules established by states, and which benefit certain commercial interests. These interests are highly profitable and located in the most powerful states. This creates a hierarchy, or world system, concentrating high-value add, profitable and innovative industry in the core. However, contemporary Marxist literature has favoured critical approaches, stressing the role played by ideas, institutions and civil society. It has also examined the growing power of multinational corporations (MNCs), transnational capital flows and the ‘global market’ in general. Under conditions of globalisation, states are believed to be losing their authority to MNCs or ‘market forces’. This has had the effect of marginalising the state. In particular, the growth of transnational capital and the triumph of international markets under globalisation suggests that “[w]here states were once the masters of markets, now it is the markets which…are the masters over the governments of states” (Strange 1996, 4). A hierarchy of states means little under such circumstances. Globalisation also suggests that capital exist independently from the state and is able to make its own markets. Under globalisation, it does not make sense to discuss an American or German capitalist class – there is only the transnational capitalist class. However, the ‘political emancipation of the bourgeoisie’ remains relevant to current MNCs. This requires a more critical assessment of globalisation. First, international markets as such do not exist. Instead, what we see is the dominance of most industries by a handful of MNCs (Mikler 20102, 2017). Furthermore, MNCs can play an important role in a states’ international economic power. Therefore, the growing power of giant MNCs does not challenge this hierarchy of states, it in fact complements the hierarchy. As Starrs (2013, 827) argues, the dominance of United States firms means that despite growing cross-border economic exchange, “the power to profit from these flows remains highly vertical with the United States at the summit” maintaining the United States’ position as the most powerful economy in the world. In this respect, globalisation can be understood as “states promoting the internationalization strategies of their corporations, and sometimes in the process ‘internationalizing’ state capacity” (Weiss 1997, 4). States promote their MNCs as agents of the national interests. Research from Mikler (2012, 2017) further illustrates this.First, he argues that MNCs are not as transnational as some might suspect, and are instead nationally embedded – namely in the main advanced capitalists countries and increasingly China. Second, he argues that MNCs are not interested in competing in a market as much as dominating and controlling it. To do so they will often rely of the state to set market conditions in a way that benefits corporate control. If they are fortunate to be embedded in a dominant state, they can do this on a global scale. Therefore, it does not make sense to think of MNCs and states as working independently towards distinct international interests.States want to help their MNCs be globally dominant, and will seek to set the rules of the international order to facilitate this. This obviously benefits the MNCs as well. The result is an international hierarchy between powerful capitalist states in the core of the international economic order. These core states host MNCs and industries that dominate world markets and concentrate wealth in their host states. There are, of course, complications to the relationship between capital and the state, and they do engage in political conflict with each other. For example, forthcoming research Weiss and Thurbon argues that while the United States created international rules on intellectual property to American-based firms, this has allowed tax evasion and a reduction in the United States’ transformative economic abilities as high-end manufacturing moves to other markets. That is, they argued that the international economic order as established by states is now beginning to erode state power and undermine the United States’ economic nationalist goals. However, acknowledging these complications, there remains ample opportunity for mutual benefit in the relationship between state and MNCs. This article argues that both realist and Marxist theories can be used to analyse the international political economy in a similar way. Namely, both analyse the international economy as one of hierarchies that territorially partition the world and concentrate economic wealth within core states. States compete with one another for a more favourable place in this hierarchy. This is done in concert with MNCs, which share the goals of their host states. This does not suggest that hegemonic theories are repackaged Marxism or that world systems is just realism. The goal of this article is to illustrate how both analytical approaches can yield similar results. It’s also an appeal to researchers to further interrogate the co-dependent relationship between capital and the state. Understanding economics and politics as distinct analytical sphere does not make sense. Nor does pitting MNCs and states, or at least the most powerful ones, in a zero-sum contest for power. Arendt, Hannah. 1968. The Origins of Totalitarianism. New York: Harcourt. Chang, Ha-Joon. 2003. Kicking Away the Ladder: Development Strategy in Historical Perspective. London: Anthem Press. Chang, Ha-Joon. 2008. Bad Samaritans: The Myth of Free Trade and the Secret History of Capitalism. London: Bloomsbury Press. Fortune Magazine. 2018. “The Fortune Global 500.” Fortune Magazine. Accessed April 16, 2018. http://fortune.com/global500/list/filtered?sortBy=profits&first500. Helleiner, Eric. 2002. “Economic Nationalism as a Challenge to Economic Liberalism? Lessons from the 19th Century.” International Studies Quarterly 46 (3):307–329. Kindleberger, Charles. 1973. The World in Depression. Berkley, Los Angeles and London: University of California Press. Lenin, Vladimir. 1996 . Imperialism: The Highest Form of Capitalism. London and Ann Arbour MI: Pluto Press. Mikler, John. 2018. The Political Power of Global Corporations. Cambridge, UK: Polity Press. Mikler, John. 2012. “The Illusion of the Power or Markets,” Journal of Australian Political Economy, Vol. 68: 41-61. Marx, Karl and Friedrich Engels. 2010 . The Communist Manifesto. Lexington: SoHo Books. Starrs, Sean. 2013. “American Economic Power Hasn’t Declined—It Globalized! Summoning the Data and Taking Globalization Seriously.” International Studies Quarterly 57 (4):817–830. Strange, Susan. 1996. The Retreat of the State: The Diffusion of Power in the World Economy: Cambridge: Cambridge University Press. Weiss, Linda. 1997. “Globalisation and the Myth of the Powerless State.” New Left Review 225:3–27. Madison Cartwright is a PhD candidate and Postgraduate Teaching Fellow in the Department of Government and International Relations at the University of Sydney.